alternators, starter motors, electrical loads, etc. 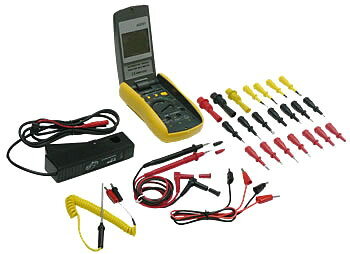 The brand new XHST130 Multi-functional Automobile Repairing Multimeter features superior design, convenient operation, precise reading, complete functions, shockproof holster, bottom stand, and skillful combination of meter components, to improve your operation. It can measure or voltage, resistance, temperature, diode continuity, dwell angle of automobile distributor contact, motor speed and time of contact open and close when measuring ignition device. 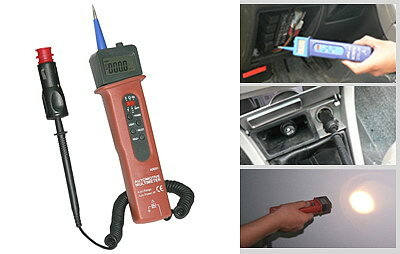 This meter is suitable for professional automobile detection and servicing, and is your ideal portable automobile repairing and maintaining tool. As a 3 1/2 digital automobile repairing multimeter, XHST2210/XHST2201A features superior design, convenient operation, precise reading, complete functions, new style holster and big liquid crystal display. To avoid misoperation, a mechanical protection device is applied to the current measuring jack. 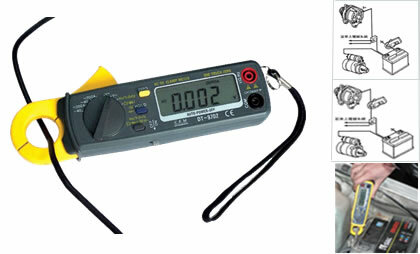 The “mA” or “20” A socket can be opened only when selecting current for measurement. Otherwise, they will be blocked to effectively avoid inserting wrong probe, enhancing the product safety and life. XHST2210/XHST2201A can measure DC voltage and current, AC voltage and current, resistance, Duty ratio, temperature, diode transistor, continuity, dwell angle of automobile distributor contact, and motor speed. They are suitable for automobile detection and servicing, engineering design, experimental test, production experiment, etc and is your ideal portable automobile repairing and maintaining tool. As a 3 1/2 digital automobile repairing multimeter, XHST2201B features superior design, convenient operation, precise reading, complete functions, new style holster and big liquid crystal display. 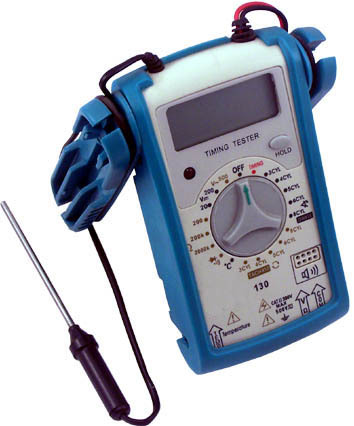 XHST2201B can measure DC voltage and current, AC voltage and current, resistance, Duty ratio, temperature, diode transistor, continuity, dwell angle of automobile distributor contact, and motor speed. This product is suitable for automobile detection and servicing, engineering design, experimental test, production experiment, etc and is your ideal portable automobile repairing and maintaining tool. As a hand-held multi-function meter, the brand new double-color plastic injection digital battery impedance tester XHST2501 can measure the internal resistance of various batteries, such as dry battery, storage battery, automobile battery, mobile phone battery, and USB battery. 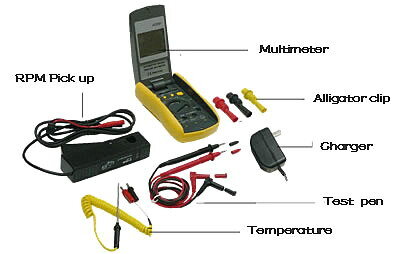 The meter adopt vector measuring technique and 4-terminal measuring method, can correctly measure the real internal resistance value of batteries. It consumes a small amount of energy to effectively, rapidly and correctly measure battery resistance up to 1m . It also can measure DC and AC voltage. XHST2501 features superior design, convenient operation, precise reading, complete functions, pleasing and practical double-color plastic injection housing and super large LCD display. It is suitable for engineering design, experimental test, field work, automobile battery repairing, etc and is your ideal measuring tool.